Col. Andrews was desired by the officers of his regiment to try in Washington to get the prescribed uniform of the regt changed -- from grey to dark blue or green-blue being generally preferred. I have just received from the adjt genl a copy of a long report of his to the Sec: of War accompanying a letter of Col: A's on the subject. The report is adverse, & as the Adjt. Genl's opinion is probably influential, I want you to counteract its effect. Wise men in general regard the color of coats & trousers as unimportant matters, & doubtless they are so, but in the army uniformity of dress is admitted to be desirable, & the argument against grey among the Voltigeurs is that it has never been furnished by the U.S. to the men & we can't obtain it here, so that the Qr Mrs [Quarter Master's / Quartermaster's] dept is having nothing for the army made in Mexico was compelled to give us dark blue. The officers have all attempted to wear grey, but as they have purchased their clothing in different parts of the U.S., no two wear the same shade. It was to enable the officers to wear uniform that a change in the prescribed dress was proposed, after it had been ascertained that in Mexico at least, without such change, they can not appear in uniform, or in a dress corresponding to that of the soldiers. The adjt genl's argument is that the dress of "Foot riflemen or light corps has always been green or grey" & that "blue has always been the distinctive color of uniform for Infantry, Artillery or Dragoons" & that "it is believed to be the opinion of the army generally that the dress of light corps should be peculiar & easily distinguished from that prescribed for heavy troops of the line." He adds that the change would involve heavy pecuniary loss to the govt, supplies of grey clothing having been sent to Vera Cruz. In regard to the first argument our whole army previous to this war for at least 15 years, has worn blue. Cavalry Md Riflemen & light arty are all light troops. In regard to the other, the clothing in question has been issued to volunteers -- a large supply just arrived for the army, from Vera Cruz has in it no grey -- & in addition, the whole army laughs at the color. I write to you on this subject because you know it is useless to attempt to change the A Genl's opinion on any subject -- after he has put it on paper -- so I want you, if it has not been done, to go to the Sec: of war on the subject. I am infinitely disgusted to find that my Col: so far from resigning, as he pledged himself to do, is retaining his commission in order to come here as fiscal agent -- a perfect fifth wheel, the disbursing officers say. This of course prevents the possibility of my promotion. For this civil appn will be held during the war. So I lose the object for which I joined this regiment -- a colonelcy. Every body here is now confident of peace. You know more of it, however, than we here. 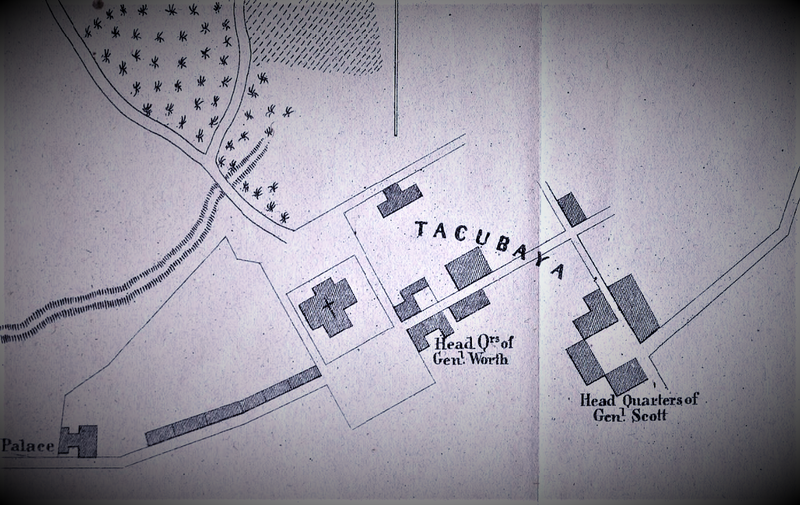 I am just ordered with my regiment to join Cadwalader at Toluca, about 40 miles to the S.W. My love to Georgine & the little ones. Col. Andrews = Timothy Patrick Andrews (1794-1868), creator of the flexible Andrews or Voltigeur Hat.